Apple is holding a press event next Monday the 21st of March, the company will unveil two new devices, the 4 inch iPhone SE and the 9.7 inch iPad Pro. Apple is expected to start selling both devices next week, with pre-orders rumored to start on either the 21st or 22nd of March and the devices to be made available in Apple’s retail stores by Friday the 25th of March, this has yet to be confirmed by Apple. The iPhone SE is rumored to come with a 4 inch display that will feature a resolution of 1334 x 750 pixels and it will come with an Apple A9 processor and 2GB of RAM. It is expected to be made available with two storage options, 16GB and 64GB. The cameras on the new 4 inch iPhone are said to include a 5 megapixel front facing FaceTime camera and a 12 megapixel rear camera which can record Ultra HD video in 4K. It will also support Apple Pay, it may also come with a Force Touch display like the 6S and 6S Plus. 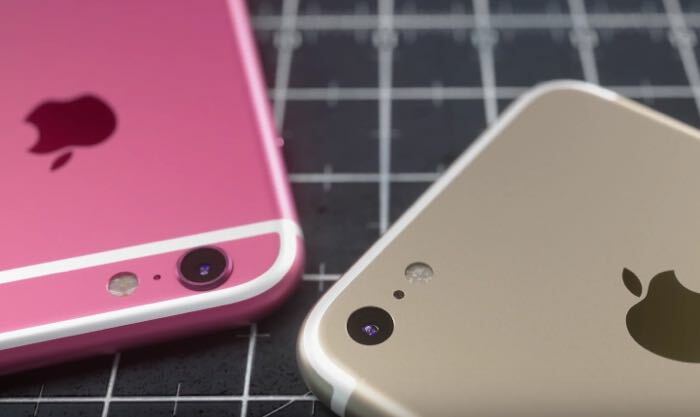 The device is expected to be available in a range of colors which will include gold, silver, slate gray and possibly a new bright pink color option, the device will come with iOS 9.3 which also be released next week. The new 9.7 inch iPad Pro is rumored to be power by the same Apple A9X processor as the 12.9 inch model, the device is expected to come with 4GB of RAM and a range of storage options up to 128GB. The 9.7 inch display on the new iPad is expected to feature a resolution of 2732 x 2048 pixels and the device is also rumored to get a new 12 megapixel rear camera which will also be capable of recording 4K video. We will have full details on the new 9.7 inch iPad Pro and also the new 4 inch iPhone SE when both devices are made official next Monday.